Earlier this week, I showcased the works of one of my favourite video game artists, Atlus' Shigenori Soejima. It's only fair, then, that I close out the week doing the same for the other half of the studio's artistic engine room. 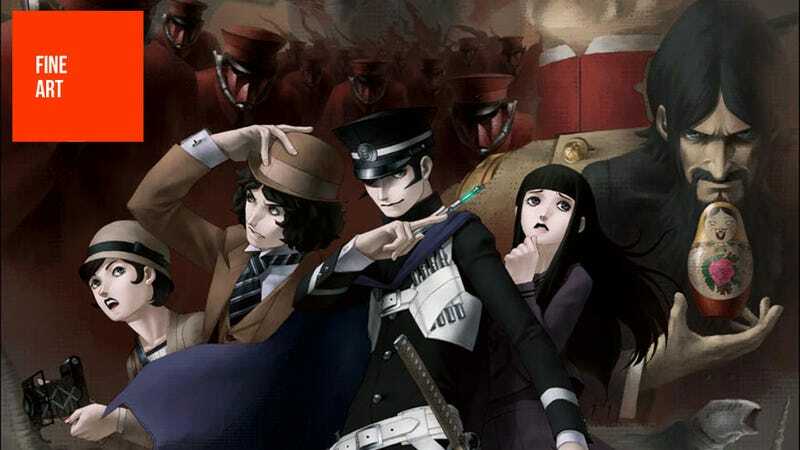 Where Soejima is mostly responsible for the more recent entries in the Persona series, his Atlus counterpart Kazuma Kaneko has a much longer CV, starting his career back in the 1980s. Since then, he's worked on games for everything from the SNES to the Saturn to the Xbox, and has been a driving creative force behind series like Shin Megami Tensei and the early Persona games, with many of his Persona designs for the latter still being used today. In addition to his work with Atlus, though, Kaneko has also helped other studios out on games like Devil May Cry 3 and Zone of the Enders 2. I've included a selection of his work - he specialises in character design - below. Those wanting to look further afield for more of his stuff, a slight warning if you're at the office: some of it's a little NSFW.